That's quite a monster of a nested IIF. Since the first part of what you want to do is calculate the SUSPENSION_DATES in relation to the CUSTOMER_SEGMENT you should simply add a column SEGMENT_GROUP to the CUSTOMER_SEGMENT table (if exists) and create a table in which you map the SEGMENT_GROUP to the SUSPENSION_IN_DAYS, i.e. the number of days... Correction if date = 1/8/2013 next Quarterly date is 1/11/2013. I presume I would use =EDATE but I don't seem to be able to join all 3 in an IF statement. I am working on the basis that the user has a field with the original date. When creating a report, you may want to format the date layout. You can format a date layout in Access to display it as "yyyy/mm/dd." Access has a pre-designed statement called the "Format()" function, which lays out the text according to the string input.... The previous threads show me how to create a new date field in access. I want to do the same with time data, and then I somehow need to combine both fields to create a proper datetime field in access. Any suggestions would be most appreciated. 17/04/2018 · Method 1 The first method uses a DSum function and criteria in a query to create a running sum over time. The DSum function sums the current record and any previous records. 25/06/2014 · 1. 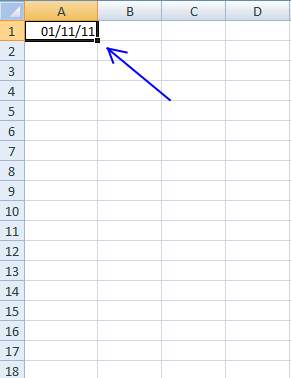 To make the column of the returned dataset show "Short Date", in the Query Design view, click on the required Field, then show the Properties dialog for the Field and then set the Format in the dialog to "Short Date". There's also the DateDiff function: DateDiff("h", "01 jan 2010", "02 jan 2010") returns 24 for example. This has a lot of support and is a standard function in t-sql at least though the syntax varies slightly with Access.